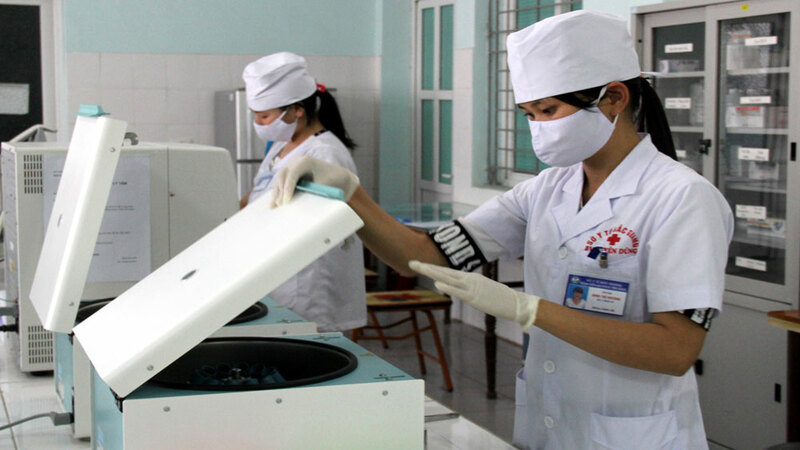 The staff of the Medical Center in Yen Dung district prepares the necessary equipment for making the dossier of residents' health record. Filed photo. Via the examination, the doctor detected several cases suffering from chronic diseases of high blood pressure, diabetes, asthma and lupus erythematosus to put under treatment at the communal Medical Center and district General Hospital. Yen Dung district is home to 150,500 people. As scheduled, the Center will hold another checkup period and make health record for the third group (public servant, official, enterprises’ labors) and the remaining subjects of the first group. Besides, the second group of students will be examined in September. To date, Yen Dung is the second locality in Bac Giang province to conduct the programme which will be completed in October 2018 as scheduled.